Face the Beast and challenge the two-time Finnish Champion Pasi Koivu in the Innova Option event on Wednesday June 13th! Innova Option is fun event format that gives players the option to replay a shot on every hole. This is a great way to experience the Beast as you have a chance to take risks and recover from mistakes better than usually. We're expecting to see low scores in this event! The Innova Option at the Beast takes place on Wednesday June 13th at 18.00. Registration for the event has just opened at Disc Golf Metrix. 1 round with a shotgun start in 4-player groups. The field is 72 players. Registration in advance through Disc Golf Metrix. Registration at the tournament center at 17.00-17.30. Players meeting at 17.45 at the tournament center. Divisions: Open (MPO), Open Women (FPO), and Pro Master 40+ (MP40). The event is unsanctioned, so no license is required. Entry fee 15€, includes a player pack. Top 3 players in each division receive Innova merchandise prizes. 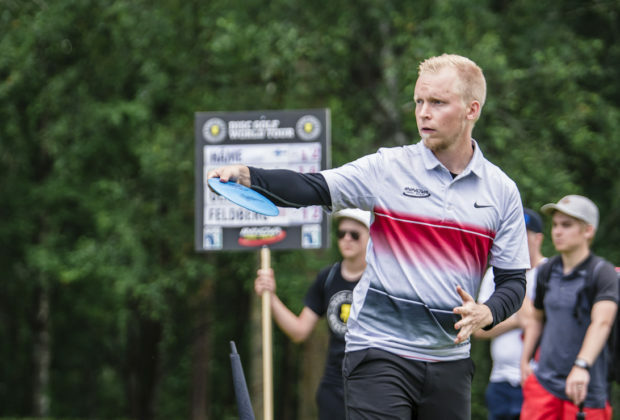 More info & registration at Disc Golf Metrix in Finnish.